• Kendall Chan, graduate of Notre Dame Academy, who will attend Regis University in Denver. Parents: Michael and Terrie Chan. 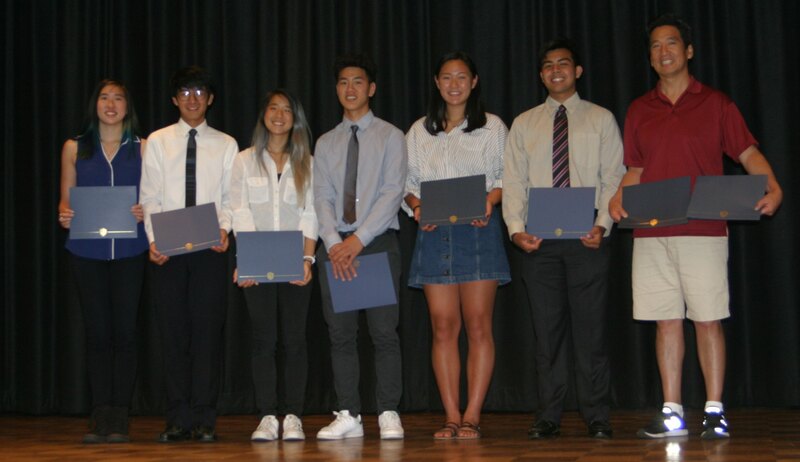 • Adam Hirata, graduate of Venice High School, who will attend Loyola Marymount University. Parents are Erica and Darren Hirata. • Melissa Kitagawa, graduate of Venice High School, who plans to attend USC in the spring. Parents: Dennis Kitagawa and Maggie Chou. • Ryan Lee, graduate of Venice High School, who will attend UC Irvine. Parents: Patty and Daniel Lee. • Nicole Nakamoto, graduate of Culver City High School, who will attend San Jose State University. Parents: Todd and Cindy Nakamoto. • Jayson Yamasaki, graduate of North High School, who will attend CSU Long Beach. Parents: Ken and Lori Yamasaki. Kyle Nomura, graduate of Culver City High School, who plans to attend Santa Monica College. Parents: Valerie and Tim Nomura. Kyle Shimoda, graduate of Venice High School, who plans to attend UC Irvine. Parents: Wesley and Amy Shimoda. The recipients’ names will be added to a VJCC Scholarship plaque displayed in the lobby.